ORDER CANDLES BY THE CASE & SAVE! 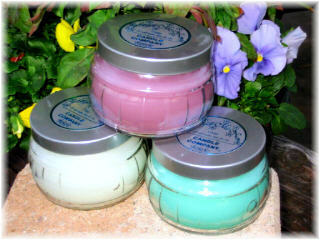 Interested in ordering container candles by the case? If so, Click Here for special pricing. 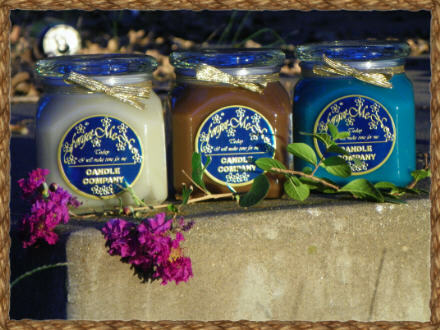 Everyone loves highly scented candles and they make excellent gifts for all occassions! For this months special, please Click Here. Our 11oz. jar has a silver tin lid which is accented with a silver foil label detailed in raised blue lettering. This candle has two wicks and the average burn time is 80 hours. Our 20oz. emma jar with a modern accent cover carries a black label base with gold embossed raised letter accents. This candle has two wicks and the average burn time is 120 hours.